On Friday night, my family and I were at Watters Creek eating dinner. If you haven’t been there, they have a wonderful green space with a playground and lots of open space for kids and families to hang out and play. There is also a little creek running through the green space with lots of ducks. 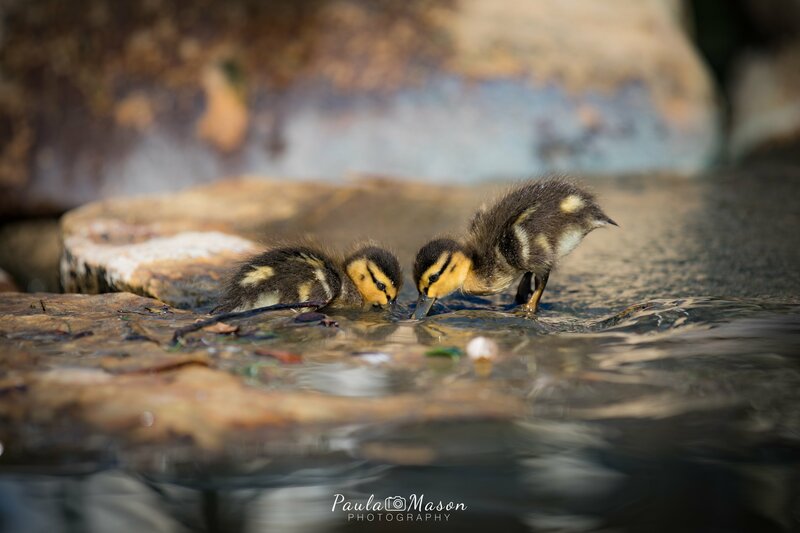 Well guess what…on Friday, we noticed that there were lots of little baby ducklings. Of course, it was dark out, so I knew I wasn’t going to be able to get any decent pictures, so I decided to head back over there on Saturday morning. 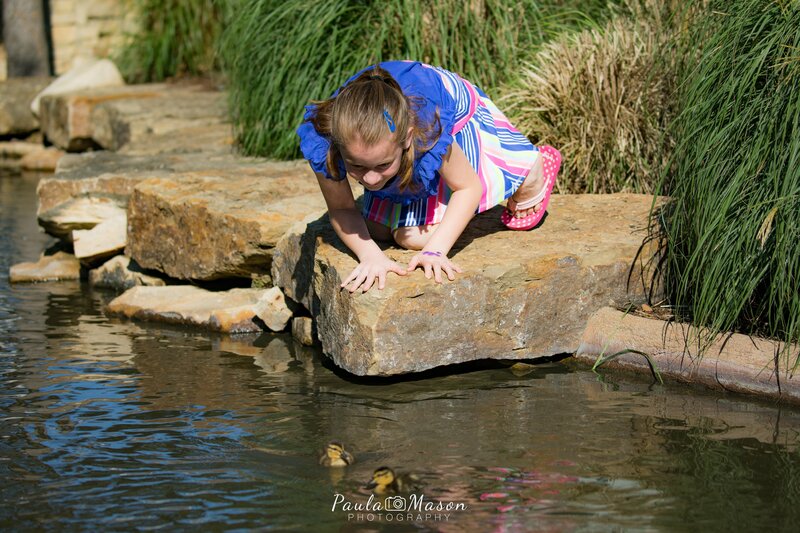 There were lots of baby ducklings in the creek. They were so cute, I just wanted to scoop them up and bring them home with me!! I got up on Saturday morning, packed my camera bag, grabbed a drink and headed out. I was hoping to get there before the stores opened. My little adventure buddy joined me, and we arrived at Watters Creek about 9:00. I knew most of the stores wouldn’t open until 10:00, so we would have an entire hour with just us and the baby ducks! That was true until about 9:30 – then large crowds of people began to arrive for a “street fair” and a choir performance by a local school. Oh well…so much for our quiet morning with our baby ducks. However, I was able to get quite a few fun shots before the craziness began! Brother & sister searching for food. I thought she was going to jump in!! 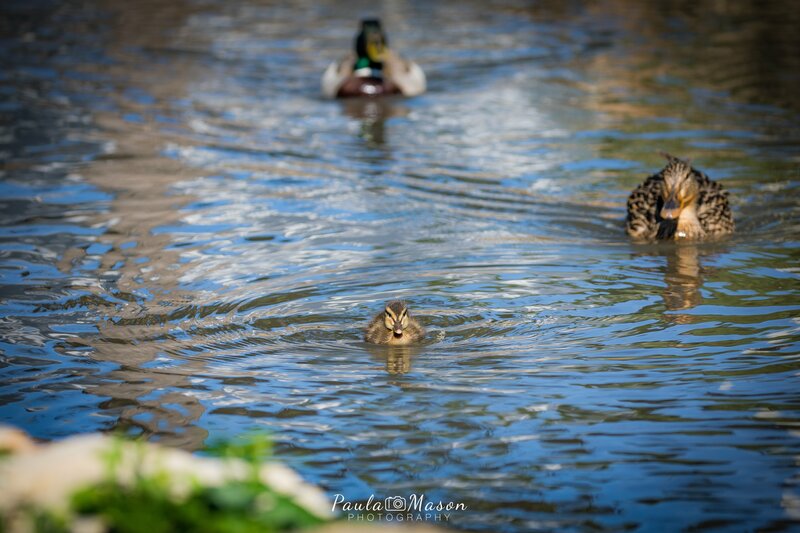 Feeling brave, the little duck leads the way! Look how small he is compared to his Mommy!